One thing that amazes me about people is their reaction to specific hunting photos. I may post one, two or three photos of a mule deer buck and receive kudos, but one photo of a three-hundred pound bear and the reaction is quite a bit different. Why?! The primary reason people don’t like to see pictures of a bear harvest is that they think “You eat the deer, but you don’t eat the bear.” Wrong! Bear meat can be quite delicious. Another reason people dislike pictures of a bear harvest is because they think bears are “cute." If a three hundred pound bear were running at you, do you think you would want to tuck it in with your young one at night? They are not teddy bears or Yogi's. Bears are predators. Did you know that bear eat deer? In the spring bear come out of hibernation. They are tired and hungry after their winter’s nap. Bear follow herds of deer, elk and other animals, eating the fawns and calves as soon as they hit the ground. Why do we hunt bear? Food - One reason we hunt bear is for food, but we can also use the parts of the animal for clothing, spices and medical salves. Bear meat is quite delicious. It is a moist meat that can be cooked as a steak, in stews and makes excellent summer sausage. Medicine - There are Native American Indian tribes that cherish “bear grease.” They scrape the grease, or as some may call it, the fat, from the bear meat and hide. It is combined with herbs and mixed into a salve that is put on cuts, burns and other injuries. The bear grease is known for its amazing healing properties. The gallbladder of the bear was used in ancient Chinese medicine. It was thought to cure blindness, gall stones and a variety of other ailments. Conservation – Conservation is the number one reason for hunting bears. As hunters it is our job to help maintain a healthy animal population. If bear populations were not managed, there would be so many that ultimately the deer and elk populations would suffer. Mindy Paulek, a Senior Biologist for international consulting corporation, says "Refer back to the basic and simplified concept of the food chain, we all learned, and I'm sure remember, from when we were younger; Because predator's are towards the top of the food chain, predator control has an amplified effect on many of those species below them." Areas that are too heavily populated with bears tend to have a much higher bear/human incident rate. Bears would run short of food supplies and head into urban areas to seek nutrition. Without their natural food sources, the bears would become unhealthy as well. Fish and Game Department biologists work diligently to count and estimate deer, elk, bear and other wildlife populations. They do this before they release their projected hunting license sales limitations. The counts these biologists give are based on maintaining a healthy population of all animals. No animal should ever become extinct if hunters are allowed to help maintain animal populations. Some states' fish and game departments require a hunter to enter a lottery and draw for a chance to hunt a bear. 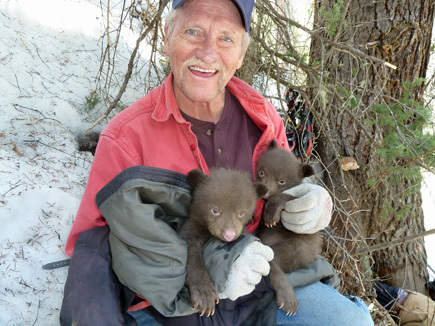 Other states work on bear management through a quota system. These states require the hunters to report their harvests. 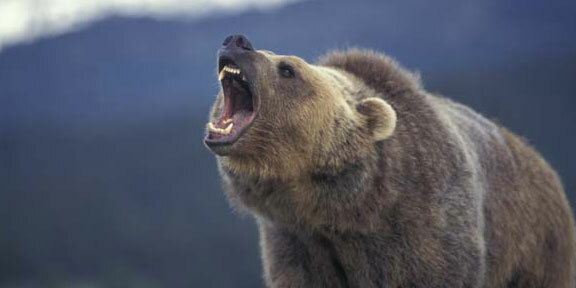 Once the allocated number of male or female bears have been met, the quota is closed and hunting is no longer allowed. Jana Waller is a leader in relaying the conservation message via her television show, Skull Bound TV. She reminds us about Rocky Mountain Elk Foundation's attempted re-introduction of elk in her home state of Wisconsin. There, they saw first hand, the devestation bears can have on an elk population. Jana says, "If you like deer and elk, you better get out and do your part on predator management." There are a variety of ways to hunt a bear. Laws vary from state to state so it is vital to do some research before a hunt. A hunter can spot and stalk a bear, hunt from a tree-stand (or a blind over bait), or use hunting dogs to harvest a bear. Regardless of the method a hunter chooses, the ultimate goal of hunting is to maintain a healthy animal population. Hunters choose various methods to bear hunt based on state laws and the area they are hunting. It is most likely a hunter will choose a way in which they can make the most ethical, efficient shot on a bear. Let us also not forget the Pittman-Robertson Act which extends a 10 percent tax on ammunition and firearms used for sport hunting. The proceeds are earmarked and distributed to States for wildlife restoration. Rather than frowning, bashing or being condescending to bear hunters, it would be more appropriate to give them praise and kudos for giving their time and funds. They're actively protecting the future of all wild animals.